Zombies are clearly popular monsters for horror writers and the question is how many variations are there on the theme of undead human flesh chompers? Apparently all has not been done yet with these ravenous ghouls, because writer/director David Freyne has proposed a possibility: what if being undead can be undone? The Cured presents an attempt to do just that: cure zombies. The film’s uniqueness stems from its interpretation of this genre as more philosophical social comment than horror. The idea of a virus turning people into zombies has been done, in such films as 28 Days Later. The latter includes precarious attempts to reverse the disease, as do features like The Returned and The Girl with All the Gifts. In The Cured, an antidote has been discovered, but it doesn’t work on all who are infected, and some are resistant to treatment. Those who do recover suffer psychological trauma due to unrepressed memories of their vicious, bloodthirsty acts, and many of the uninfected still living are without sympathy and continue to condemn them for their involuntary massacres. Released into the population, the rehabilitated ex-monsters are met with retaliatory fear, bigotry and violence. One ex-zombie, Senan (Sam Keeley) has anguished recurring visions of his killing and cannibalising of own his brother Luke. The latter’s widow Abbie (Ellen Page) and her son Cillian (Oscar Nolan) don’t know about this, and she invites her brother-in-law to stay with them. Most of the rehabilitated live in locked down half-way houses, and lawyer and aspiring politician turned street-cleaner Conor (Tom Vaughan-Lawlor) – whose own well-to-do family rejects him because of his past affliction – is resentful of the ill treatment they receive by society at large and channels his thwarted ambitions into the forming of a virulent clandestine terrorist organisation to combat military harassment, anti-zombie protests and attacks, and general mass bigotry. Vaughan-Lawlor is particularly effective as the outraged and rebellious but narcissistic Conor, and Keeley gives a strong performance as the tormented, guilt-ridden Senan. American journalist Abbie is well portrayed by Page, given that the material she has to work with is somewhat basic. 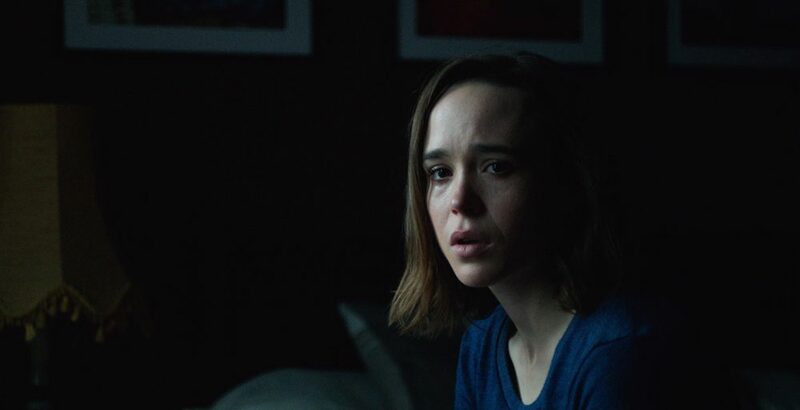 The Cured is artfully shot, though quite murky and monotone – perhaps to express a state of ultimate despair. Handheld camera work skillfully evokes an atmosphere of tension. With an innovative and intelligently written script, the well-directed result is disturbing, gripping and thought-provoking. The Cured does not have a UK release date yet.